Humans in the developed world spend 90% of their time in built spaces. Inhabiting these spaces influences their physical and psychological health and wellbeing. Every design decision may impact an individual’s health—positively or negatively. Design practitioners, therefore, can have a profound impact on the people who inhabit their buildings. 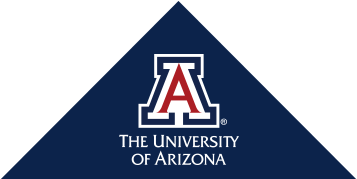 The Master of Science in Architecture subplan in Health and Built Environment at the School of Architecture, College of Architecture, Planning, and Landscape Architecture (CAPLA), University of Arizona, arms future design professionals with the knowledge and skills needed to capitalize on design principles that have an impact on people’s physical, mental, and social wellbeing. Designers who can not only understand, but translate existing research into practice will be more competitive in the market and have a positive impact on the everyday lives of people. In the American Institute of Architects’ Design and Health initiative of 2014, the AIA Design and Health Leadership Group identified six evidence-based approaches to health: Environmental quality, natural systems, physical activity, sensory environments, safety, and social connectedness. The MS.Arch-HBE is an interdisciplinary program that will teach students to evaluate and design healthy private, public, and community spaces. Required courses introduce concepts of critiquing existing scientific research on the intersection of design and health, provide skills to translate research findings to design, and introduce current human health design standards. Two elective courses are required and can be selected as per each student’s career aspirations. Please see Master of Science in Architecture Admission Requirements. For more information on this program, email us.